When it comes to diets, I have never bought into the claims they all make that they’re “simple.” Even if they only last 3, 7, or 14 days it’s usually the worst 3, 7, or 14 days of my entire life. That’s why when I heard about the book “The Doctor’s Diet” on the show The Doctors (which I watch religiously I might add) I was pretty disappointed. 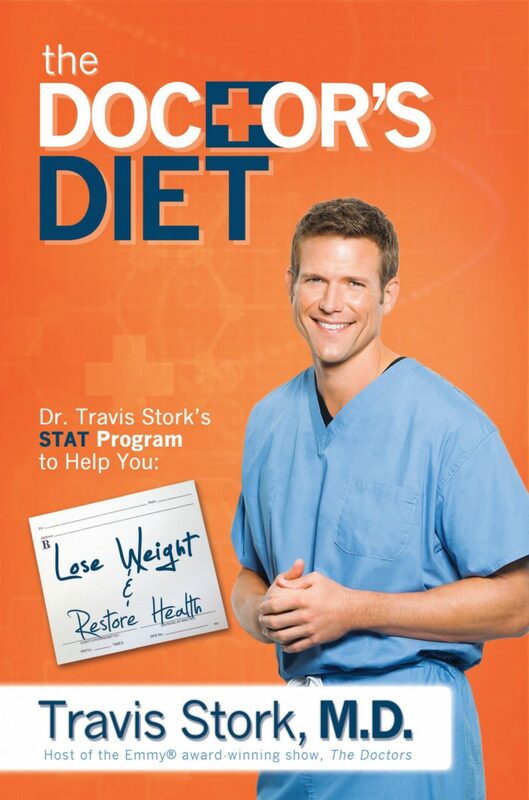 How could someone as perfect and genuine as Dr. Travis Stork try to pull a fast one on someone who is as subjective to his charm as me?! So yeah, that’s why it’s taken me 6 months to read his book and SHOCKER: I love it almost as much as I love him. This book is chock-full of statistics, answers to all your burning questions, and instructions on how to measure your health. Here are my picks for the 5 most helpful tips I found in “The Doctor’s Diet” that will make you love your body (and Dr. Travis, sigh) more than ever. Diets have a reputation for being three things: expensive, ineffective, and impossible. It hurts me to say I’ve spent more money on diets than I’d ever like to admit and none of them were great. What’s awesome about The Doctor’s Diet is with food like apples, chicken, and broccoli on the menu, meals are healthy, inexpensive, and easy to cook. Making a menu at the start of the week is something I never do. But by making a list of the healthy meals you want to have each day and bringing your list to the store, you are more likely to stick to the list and less likely to put junk food into the cart. This was when I knew this diet was the one for me. There aren’t many things I hate more than being drenched in sweat and smelling absolutely horrible leaving the gym. To scratch that completely, Dr. Travis recommends suiting up and swimming laps instead. Guilt came into full effect as soon as I read this tip. So many people including myself have been duped into thinking frozen yogurt is better for you than ice cream. “The Doctor’s Diet” points out on page 142 that frozen yogurt can be packed with sugar and fat just like ice cream can be. Think of the hot fudge, Oreo crumbles, and syrupy strawberries you add to your fro-yo too… Yikes. For most people, this tip will be most beneficial of all. Eating quickly, while watching TV, and overeating are all examples of unmindful eating according to Stork. He says measuring out your food before eating it, chewing slowly, and keeping distractions at a minimum will help you eat less and feel better about what you consume.